What is the Idea Box? 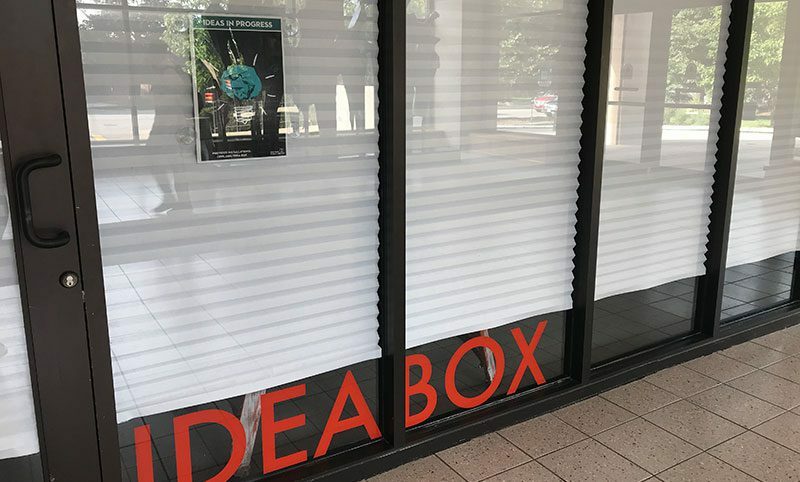 Located just inside the Main Library entrance, the Idea Box is a dedicated 19-by-13-foot space that is always changing. In recent years, the space has been home to collaborative community installations, library-led initiatives, and more … all designed to connect our community and inspire learning. Libraries Are for Everyone & Where in the world has reading taken you? exhibit featuring iconic “Libraries are for everyone” graphics and a chance to share your adventures in reading. Mothers and Others for Peace Back to our Roots exhibit exploring the history and commitment of women working for peace.